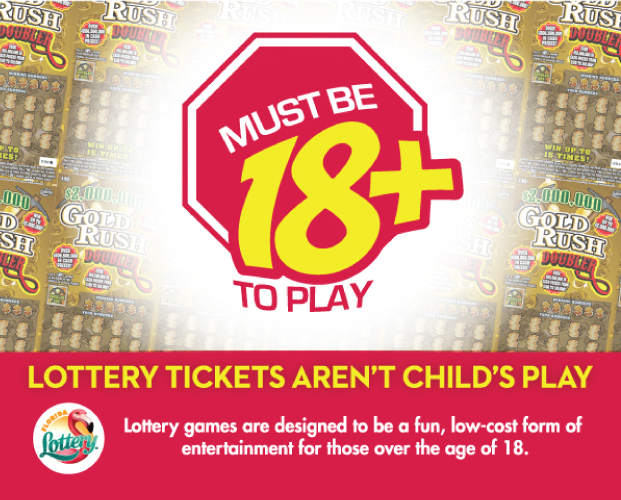 The Florida Lottery has a long history of supporting responsible gaming, players must be 18 or older to play. The Lottery pledges to do its best to increase awareness of underage gambling issues to consumers, retailers, and other stakeholders. Responsible gaming is a state-wide effort with safeguards, messages, and warnings to our players and retailers intended to reduce and prevent underage gaming. These messages can be found in all Lottery public communication and through the sale of our products.